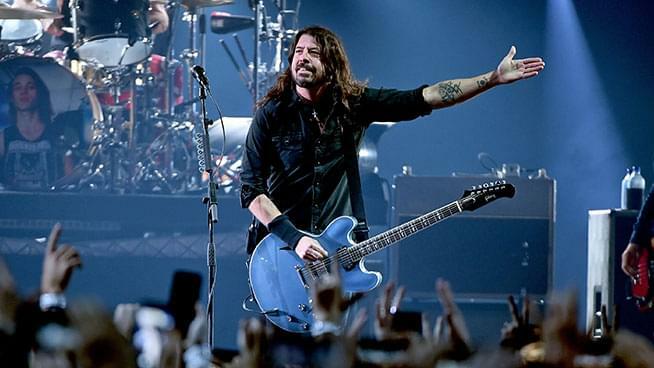 Over the weekend, Foo Fighters invited Jane’s Addiction frontman Perry Farrell, Rage Against The Machine, Audioslave and Prophets of Rage guitarist Tom Morello, and Zac Brown onto the stage during their Super Saturday Night show in Atlanta, GA.
First, the Foo Fighters covered Black Sabbath’s “War Pigs” with Tom Morello and Zac Brown. Afterwards they welcomed Perry Farrell to the stage. Dave Grohl took a jab at the Super Bowl halftime show, which featured Maroon 5. As we all know, there has been a lack of rock presence over the years during the Super Bowl’s Halftime show. Last year, Dave Grohl revealed in an interview that he had talks with halftime show representatives before Maroon 5 were picked. “Not to be negative on Maroon 5, but it always seems to be the final chapter in your career,” Taylor Hawkins deadpanned. Watch Foo Fighters, Tom Morello and Zac Brown cover Black Sabbath’s “War Pigs” below. Watch Foo Fighters, Perry Farrell, Tom Morello and Zac Brown cover Jane’s Addiction’s “Mountain Song” below.